Amaze and stun with the latest in coin bending effects! The Python Pen looks like an ordinary pen and can be used as an ordinary pen, making it both deceptive and practical. 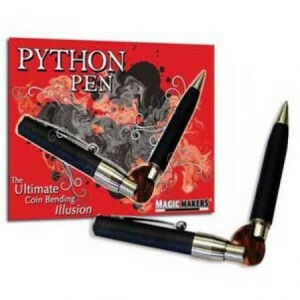 The Python Pen is actually a discreet vice, making the audience believe you are bending coins with the strength of your own two hands!